I must apologise for my lack of updates. I’m afraid I’ve been taking this writing business all a bit too seriously. Lately though I’ve discovered a better way of looking at the writing life and all its ups and downs and rejections (no matter how lovely) and short-lists and long-lists and writing draft after draft after draft. And it’s all thanks to Tove Janssen, the marvelous Finnish writer and artist, creator of the Finn Family Moomintroll books I adored as a child. 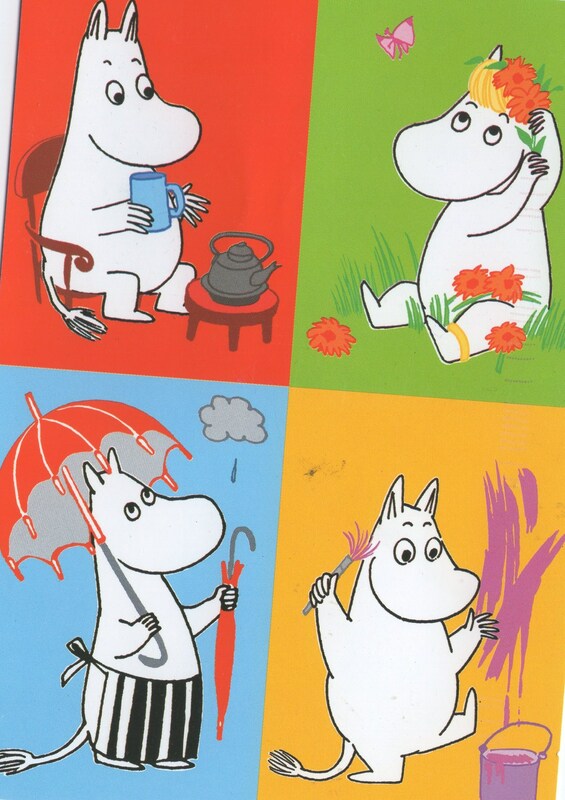 I recently found a book of her short stories for adults and was reminded just how much I loved her tales of whimsy and gentle melancholy as Moomintroll and Snufkin, his best friend, embarked on springtime and summertime adventures (they hibernated during winter). Tove’s stories reminded me that life is all a glorious adventure, and those of us who have ventured onto the writing path are brave and daring souls, who face each challenge with excitement, not gloom. For a moomin there are no such things as obstacles only invitations to play. So I am determined to become more moomin-like. To laugh in the face of the bumps, hills and mountains that sometimes seem to block my way, and become excited about finding a way over them. I hope the moomins can help you make a fun-filled expedition of your writing journey too. Onwards and upwards, dear friends. And lots of thanks and love to Favel for the beautiful moomin picture and to the remarkable Tove for being such an inspiration. Thanks dear Helena and thanks for a great weekend. Next post will be about our great adventures in Armidale – Literati swept away in rapids!! doing a moonin dance now. 🙂 Thank you for bringing these lovely creatures back into my life. I had let them fall into shadow and forgotten about them. I love them too. They make me feel happy just to see them.